A story for The World on New York City’s aging immigrant population. 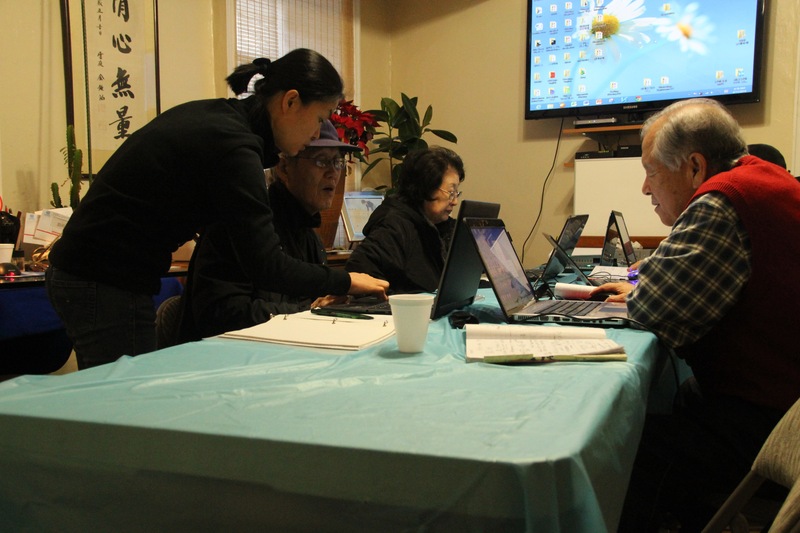 A computer class The Bronx Korean American Senior Citizen Association on Grand Concourse in the Bronx. A Buddhist marriage ceremony I stumbled into in Yangon. Buddhist monks gathered at the home of Chit San Oo and Makhin San Yee to give the newlywed couple a wedding blessing. Nyi Nyi Aung was the person who got me interested in Burma in the first place. He’s a democracy activist who’s spent most of the past 25 years living in exile in Thailand and the U.S. He was arrested trying to enter Burma in 2009. I covered his trial and imprisonment, and met him for the first time a few days after he was released and returned to his home outside of Washington, D.C. It was a bit surreal to, four years later, spend a day with him openly exploring Yangon, seeing spots important to the story of the 1988 uprising and talking about what’s happening in the country today. Here’s the article I wrote for Al Jazeera America about that day. 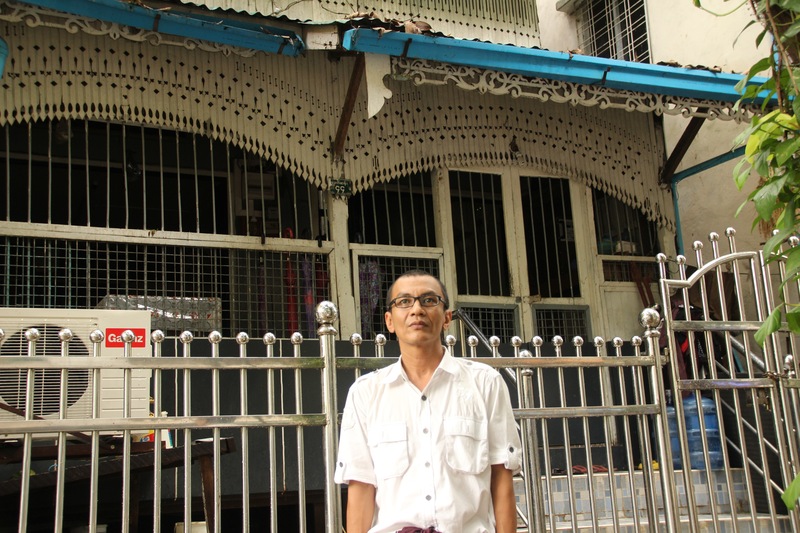 Nyi Nyi Aung outside of a childhood home in Yangon in July, 2013. In December of 2012, I spent Shan New Years on the Burma/Thai border, talking to Shan refugees in a camp there. 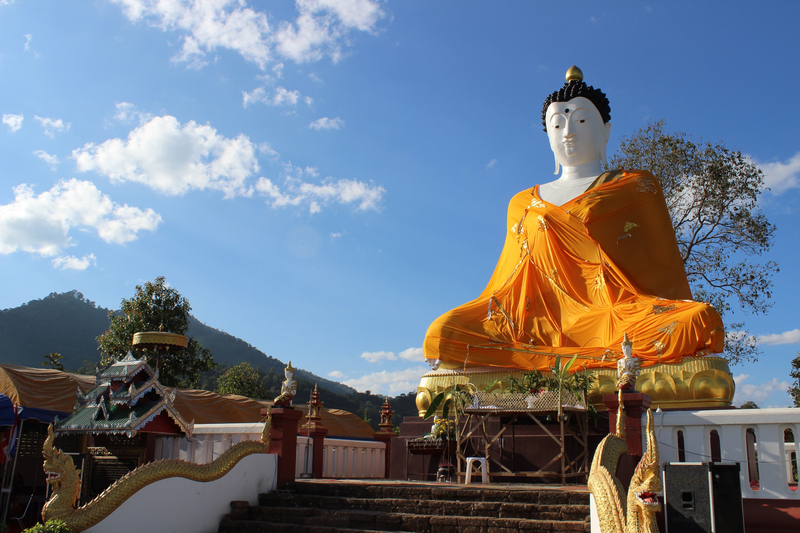 A large Buddha sits at the top of a hill in Piang Luang township. Shan New Year is celebrated on the hillside below it, and the Thailand-Myanmar border is a few hundred yards beyond it. Koung Jor is on the next hill over. 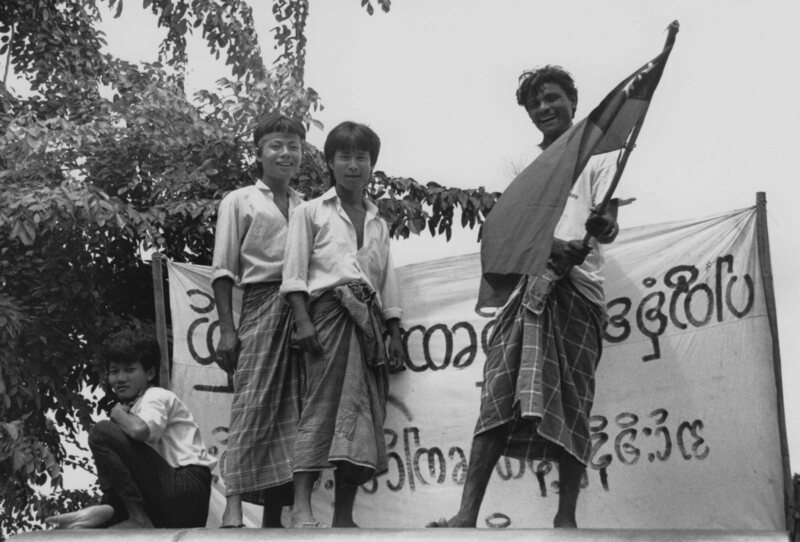 The folks at Radio Diaries make hands down some of the best radio out there, and it was a real joy to get to work with them on this documentary about the 1988 popular uprisings in Burma. I started learning about these uprisings four years ago while I was working on the first story I ever did about that country. 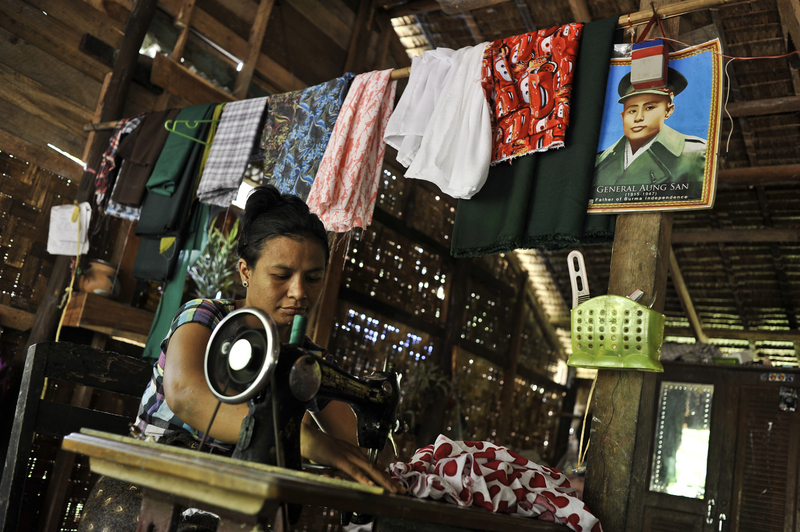 And 1988 came up in nearly every story I did on Burma after that–so much that’s happened in the 25 years since then has roots in those months. 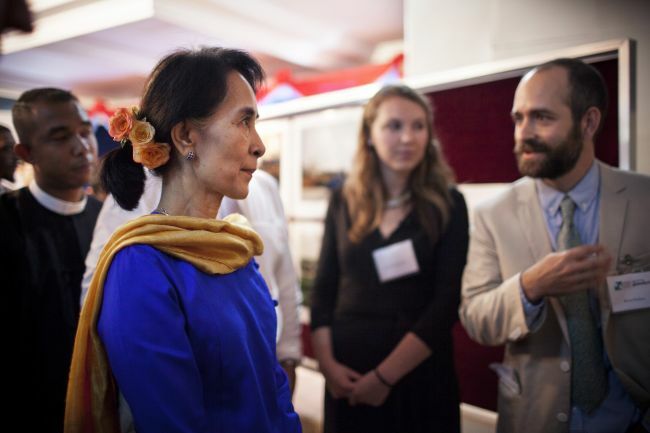 I was thrilled to be a part of this Open Hands Initiative/Global Post fellowship in June that sent 10 U.S. journalists over to Myanmar to work with 10 Burmese journalists, under the watchful eye of a bunch of seasoned foreign correspondents and Myanmar experts. Here’s the report that we put together for Global Post; lots of good stuff in there. Even better was getting to spend a few weeks exploring a country I’m fascinated by with new colleagues, and to see that country’s young media already thriving and in very capable hands, including those of my new friends at The Myanmar Times, RFA Burmese, and BBC Burmese. Aung San Suu Kyi at a dinner we had with her on our final night in the country. Behind her are Kaung Htet, who took the photo at the top of this post; Sarah Fitzpatrick, a producer for CBS; and me. The photo’s by Natalie Keyssar, another allstar. Robin Girod, Xavier Bray, and Cyril Yeterian at the Festival International de Louisiane in Lafayette. Mama Rosin’s Facebook page lists Amédé Ardoin, The Clash, and The Velvet Underground as a few of the band’s musical influences, and that gives a pretty good sense for what they’re all about. They’re three young Swiss guys psyched about the punk attitude they find in old cajun and zydeco music. 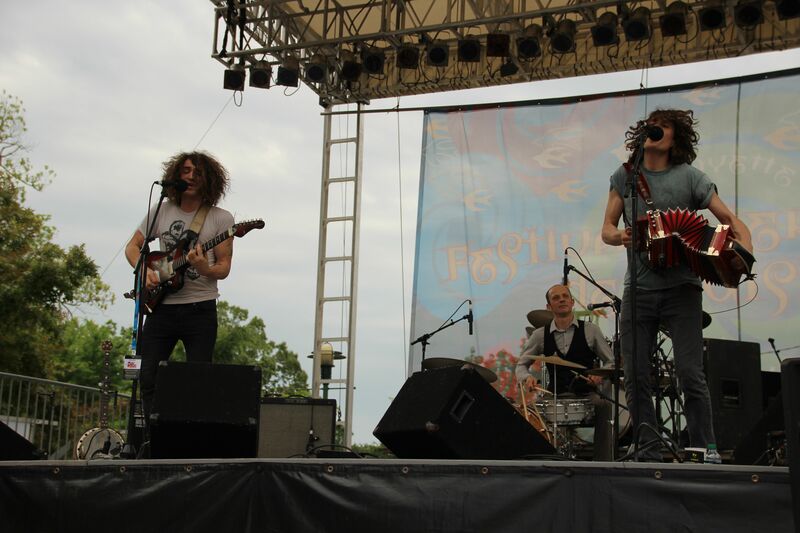 I had a chance to talk to them and see them play at the Festival International de Louisiane in Lafayette at the end of April. Hopefully they’ll be back to the U.S. soon. Until then, here’s the story I did on them for The World, here’s their homepage, and here’s their Bandcamp page where you can listen to a bunch of their music. And you really should. You can also read two blogposts I wrote while my friend Adam and I were tooling around in and around Lafayette, they’re here and here. * Does anyone know why this is a thing cajuns are always yelling in their songs? The Yellow Dogs got their start on the underground alt music scene in Tehran. They were featured in a semi-documentary about that scene called No One Knows About Persian Cats, and the scrutiny got a bit intense after that. They left the country and settled in the young-band mecca of Williamsburg, Brooklyn. 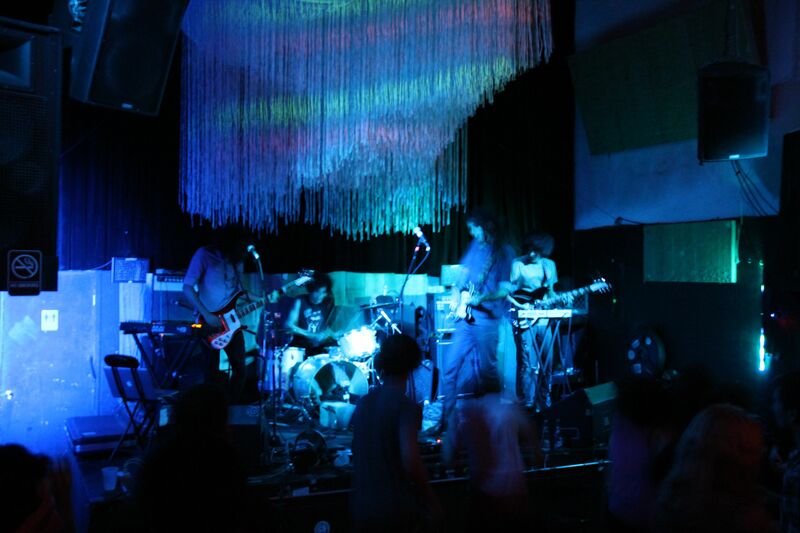 That’s where I caught one of their shows, and interviewed frontman Obaash. Yes, he does share a loft with his bandmates and a few other Iranian artists. Living the dream. Here’s the story for The World. Lots of cool music happening in these parts at the Arab/Middle-Eastern/North-African/Jazz/New-Music intersection. (It’s a busy intersection.) I caught Brahim Fribgane‘s great Andalusian/Moroccan project last week at Terraza 7 in Queens; band and venue both highly recommended. A few days earlier I’d seen Amino Belyamani‘s Dawn of Midi turn in a mesmerizing set at Rockwood Music Hall in Manhattan. Fribgane and Belyamani shared the stage with a bunch of others in January at a festival that’s emerging as a meeting-of-the-minds for this scene. (I think it’s fair to call it a scene. It’s a scene, right?) The festival is called Maqam Fest, it’s put on by Alwan for the Arts, and curated by multi-talented Amir ElSaffar. Here’s the story I did for The World. 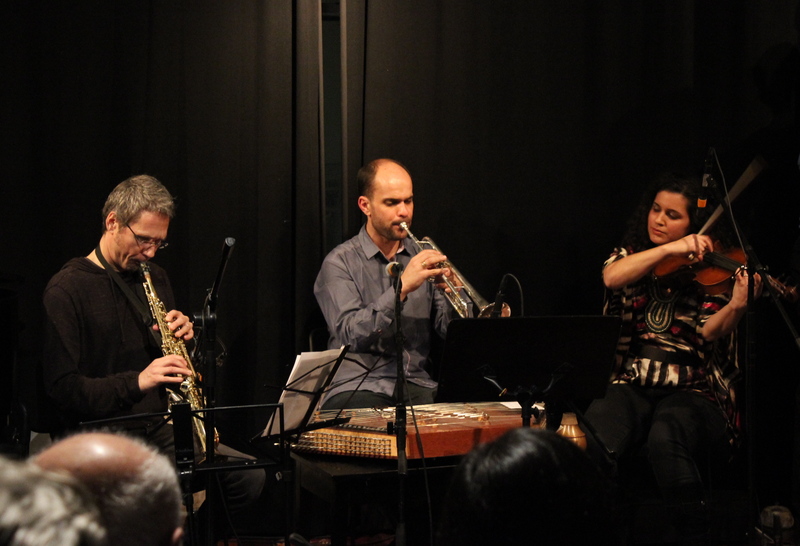 From the left: Ole Mathisen, Amir ElSaffar, and Dena El Saffar of the group Salaam at Maqam Fest in January. Here’s something else that’s happening at Rutgers University: planning and public policy professor Hooshang Amirahmadi is running for president of Iran.